Start off your visit on the 5th (Wed): steep yourself in history at Pyramids of Giza, make a trip to Great Sphinx, and then admire the striking features of Hanging Church (El Muallaqa, Sitt Mariam, St Mary). Get ready for a full day of sightseeing on the 6th (Thu): contemplate the long history of Saqqara (Sakkara) Pyramids and then see the interesting displays at Egyptian Antiquities Museum. 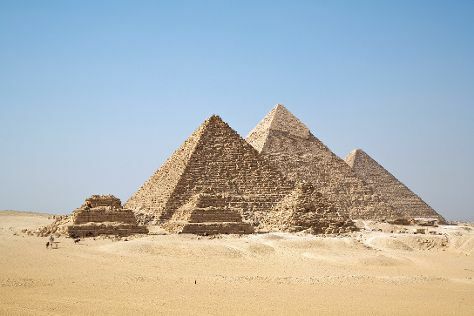 To see other places to visit, more things to do, ratings, and more tourist information, use the Cairo trip builder tool . In September in Cairo, expect temperatures between 39°C during the day and 27°C at night. Finish your sightseeing early on the 6th (Thu) to allow enough time to travel back home.